First Wave of Ascension to Be Completed Today ~ Tie that in with what Gaia Portal says. I hope you all are reading these Gaia Portal interpretations. 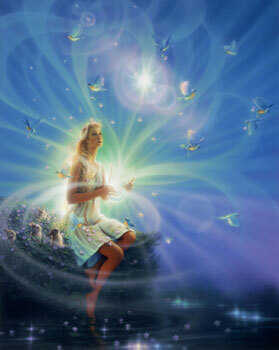 They are explaining how we are all increasing in Consciousness, what is happening as we flow in the First Wave of Ascension that is being completed, and about the energetic forces that are the impetus. And for awhile now, it is ALL GOOD NEWS! Since some readers want to know the source of the Gaia Portal messages, I’m providing a link to the About page: About GaiaPortal… I’ve read that these are written with three levels of meaning, but for the life of me, I haven’t yet found that post! Gaia Portal ~ the Latest. My interpretation in orange. Overall, this post could be interpreted to say that it is now safe for our ET friends to show themselves, but I’m looking at it as talking about energy and higher beings on other dimensions. And ultimately that is only possible because of the Higher Consciousness of humanity overall, especially the one third of humanity who have reached the ascended state of Consciousness. This is not really hostilities. It means that we, all of Earth, having now a Higher Consciousness, are ready and it is now safe for us to assimilate higher galactic energy waves and have closer contact with higher beings. The path is clear for higher beings and flares of energy from the center of the Milky Way. Those are incoming. Also, Hue-Mans are reaching Galactic level Consciousness via Openings of Consciousness. We, with help, now have a clear path to do so. This is about those flares of energy hitting the Earth and higher beings to more closely interact with us . I know that sometimes people work with the routing of energy. I don’t know about the details for these galactic flares, but suspect that on some level, beings are responsible for that. I really think that’s the way such things work. No accidents, but directed by higher intent. We can turn this around to mean our “landing” into a higher state of Consciousness and into a Higher Realm. To detect or observe the incoming energies and interact with the higher beings, use your higher sense or feeling, intuition, higher knowing, higher Consciousness. I started to type in a more mundane explanation, but then came a flash of insight. In Gaia Portal parlance, “Hue-Mans” are now Galactics, while regular humans are being called hominids. Hominids are also found in the Pleiades, or at one time were. So the consciousness of ALL of us—humans, bigfoot, apes, hominids on other planets and other Galactic beings in this and higher dimensions, are uplifting all of humanity. I.e., we are uplifting ourselves with a little help from other worlds. Uplifting, meaning raising of Consciousness. Our inner silence brings forth flashes of the Light of our Higher Consciousness, Higher Selves.